The Paramount Arts Centre opened in 1931 as a movie house. Today it offers educational opportunities and activities, as well as diverse multi-cultural programming and entertainment. 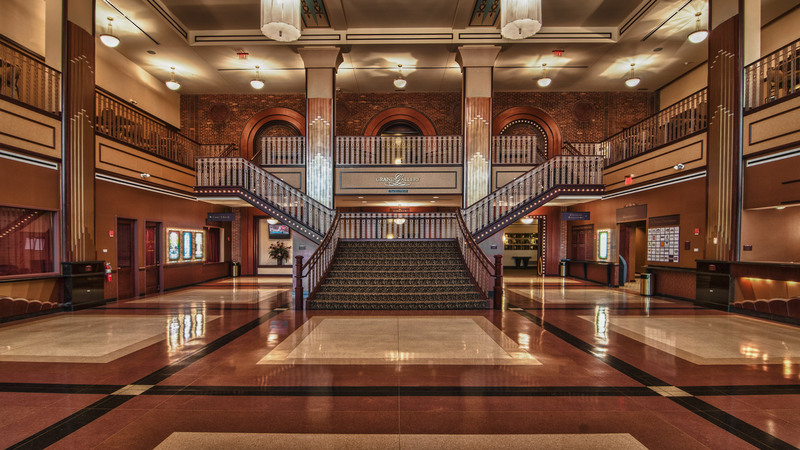 The Paramount Arts Centre is listed on the National Register of Historic Places. The new addition enhances and expands the original historic theater. 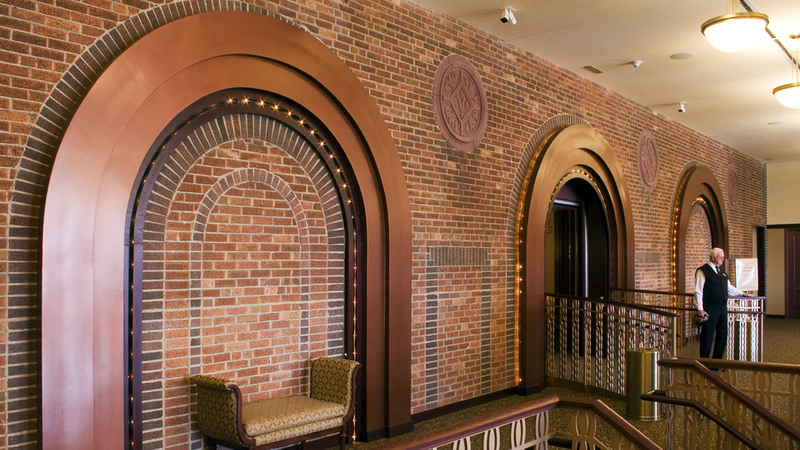 The theater's historic character, defining features, brick detailing, and terra cotta medallions are highlighted by the new addition. The addition also provides more usable public space and pre-function areas, including banquet kitchen and washroom facilities, as well as additional offices. Adjacent remodeling includes a dance studio and children's theater. 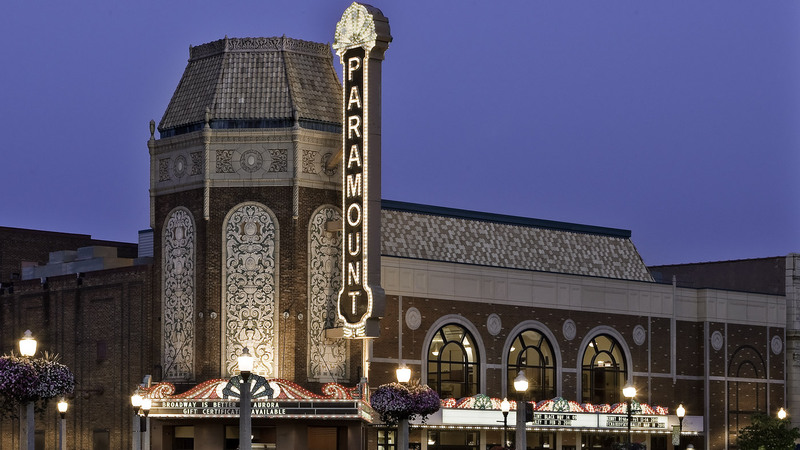 The Paramount Theatre received a Kane County Readers' Choice Award for the 2003 Entertainment Facility of the Year. The Paramount Arts Centre is one of several major performing arts centers Cordogan Clark has designed. 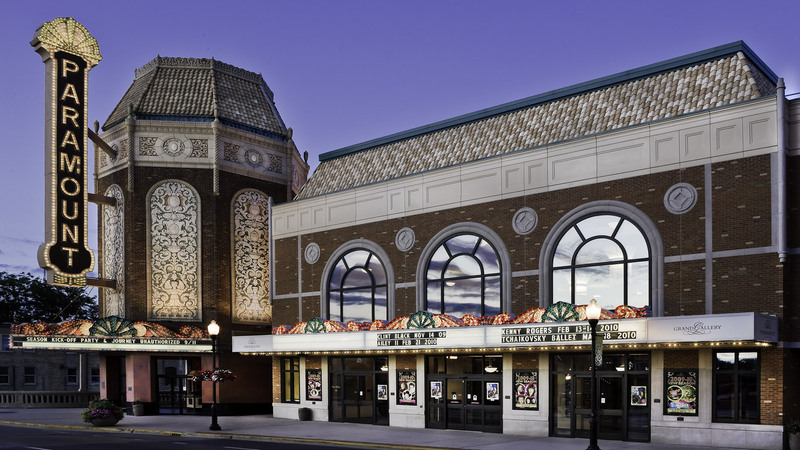 Others include the Heritage Center for Performing Arts in Alma, Michigan; the Addison Center for Performing Arts; and a major expansion of the banquet facilities for Drury Lane Theater in Oakbrook.